I'm sure I've said this before about the TFF. A tough day on the TFF can be the equivalent to a good day on a lot of bodies of water. 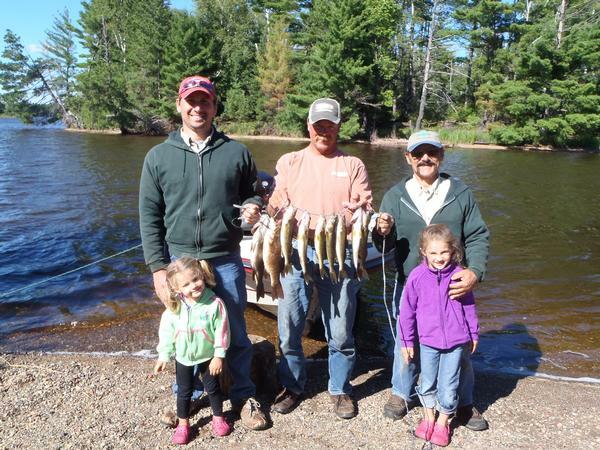 I fished with two groups today ,I do enjoy providing a family fish fry, in the morning we caught enough for a fish fry for the three fisherman in the boat and their wives back at the cabin and in the afternoon for a group of seven friends. The walleyes had to be worked for, we fished deep wood on the edge of breaks and river channels, in the afternoon we did fish a couple of cribs. Fifteen or twenty years ago the TFF to my recollection didn't have as diverse a fishery as it does currently. Today I cleaned 47fish for the two groups, 12 walleyes the rest crappies, perch, and blue gills. 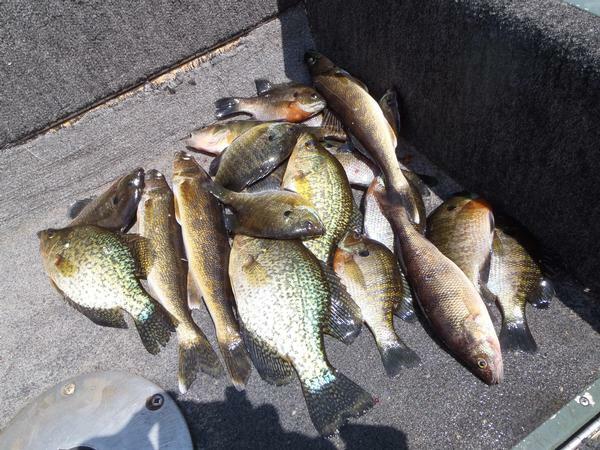 Most of the fish were caught from deep wood with 1/8 oz. jigs and 1/2 crawlers. Start bringing your warm clothes, I'm hoping for a lot of warm weather yet but Tuesday with the north wind, I wore two jackets until noon. 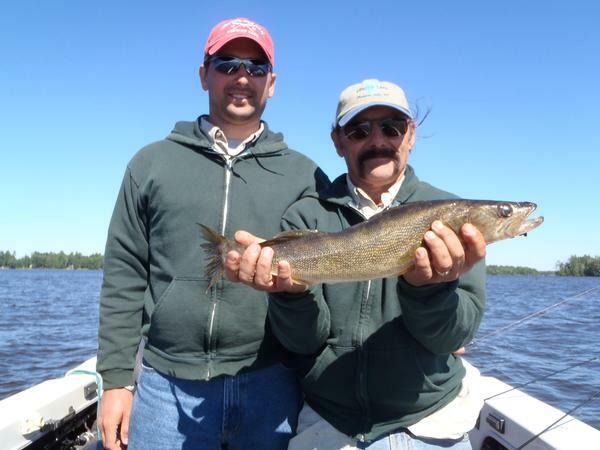 Those cold fronts have triggered some bigger fish we caught and released a 22" walleye that day, the seven walleyes we kept that were on the smaller side.